Shelli Herman is the 2018 Spirit of Voluntarism Awardee. 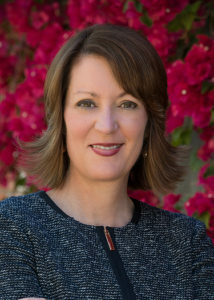 Shelli Herman has dedicated 22 years of service to the League, having served several terms on the Board of Directors as Projects Director and Development Director, as well as leading numerous special projects for JLLA. Since becoming a Sustainer in 2008, the year she was awarded the President’s Cup, Shelli has remained active serving as an advisor to the membership council, communications council, projects research and development committee, and the development council. Shelli was the co-chair of the Leadership Legacy Council from 2016 to 2018. Taking her commitment to leadership and service to other community organizations, Shelli serves as Vice President of the Board of Directors for the Children’s Bureau, where she chairs the Governance Committee and is an active member of the Executive Committee. Shelli was also a member of the Board of Directors for the Downtown Women’s Center for 12 years, supporting the work to eradicate homelessness for women on Skid Row in Los Angeles. She was the founding chair of the Development Committee during a time of unprecedented financial growth for the organization and served as the 2016 chair for the Downtown Women’s Center’s Dinner with a Cause, which realized the highest net revenue in the history of the event. Finally, Shelli is a member of the National Advisory Council for the Foundation of the Wichita State University. The 2018 Community Achievement Awardee is Nadine Schiff Rosen. 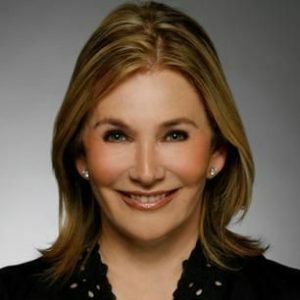 Nadine Schiff Rosen began her career as a television reporter and host in her native Canada, eventually becoming a CBS News Correspondent with the CBS Evening News With Dan Rather, based in Los Angeles. She went on to a career as a film executive as the Vice President of Michael Douglas’ Stonebridge Entertainment, producing both big budget and independent films. She has written extensively for magazines, co-authoring three non-fiction books. For seven years, she served on the Board of the California Women’s Conference lead by our First Lady, Maria Shriver offering leadership inspiration to thousands of women throughout the state of California and beyond. Ms. Schiff Rosen and Ms. Shriver began the Minerva Awards, highlighting women in their own communities who through their own initiative began social justice programs that benefited thousands. Those Awards are now housed in the Women’s Museum in Sacramento where Ms. Schiff Rosen served on the Board so that children across the state could understand the vital role women have played in our society. In addition to her work with foster children, on the Board of United Friends of the Children, she initiated an annual fundraising event raising thousands of dollars for marginalized youth to enter four year college programs. She serves on the Sundance Board of Trustees with Robert Redford sponsoring film and writing labs for young artists. On the Board of Women’s Alzheimer’s Movement, she works with Maria Shriver and teams of scientists to fight for a cure for Alzheimer’s, specifically for women who are at high risk for getting the disease. She holds a Master’s Degree in Clinical Psychology and an MFA in Creative Writing. She began her volunteer work as a candy striper in a local hospital when she was 13 years old and never looked back. Ms. Schiff Rosen lives in Los Angeles and is married to Fred Rosen. Her son, Joshua, graduated with a doctorate in Education from UCLA and is presently the Director of the Belldegrun Center for Innovative Leadership at Brentwood School. Her daughter-in-law, Lauren Fujiu-Berger, is an attorney at Twentieth Century Fox and on the Board of the Junior League of Los Angeles. Ms. Schiff Rosen has one granddaughter, Matsumi Rose who is the light of her life.